Welcome to your new home at The Astoria! Built in 1949 and recently updated, The Astoria features modern amenities combined with the charm of mid-century style. 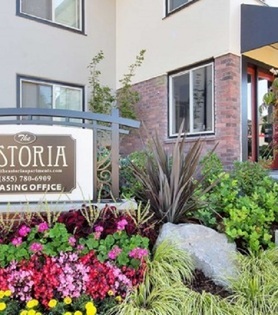 Close to transit and shopping, The Astoria combines quiet residential living, all while being close to the excitement that Portland has to offer. 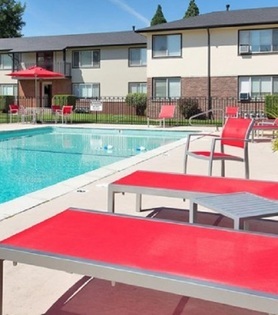 Our apartment homes feature open, bright layouts. The homes common area’s features faux hardwood or carpet, depending on unit, built-ins, fans, and lots of natural light. Kitchens are equipped with electric appliances, wood cabinets, and decent amounts of storage. Our bathrooms feature a bathtub/shower combination, free-standing vanity, and a storage area. 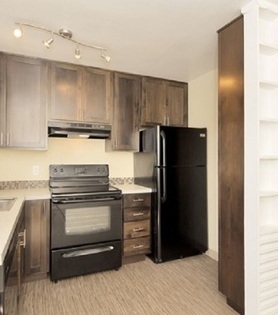 Each apartment features a linen and a coat closet. In addition to your home, our manicured facilities feature a multitude of amenities. For those that like to cook, we have a complimentary barbecue area. For the fitness inclined, our grounds include a seasonal pool with sundeck, fitness center, and a small area of paths around the facility. Let’s not forget our furry friends, which have pet stations located on the paths around the facility. 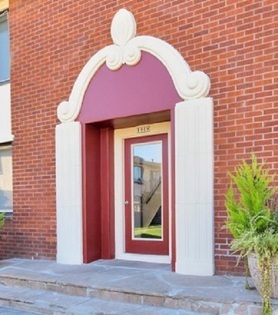 The Astoria is located at 1913 NE 73rd Avenue, in Portland, Oregon. We are located between the Historic Hollywood Shopping District and the Jade International District. The apartment homes are directly across from Rose City Public Golf Course, close to the 84 Freeway, Trimet 77 Bus Line, and the Max Light Rail station.